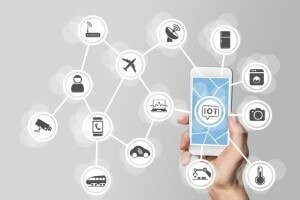 British businesses of all sizes agree that Internet of Things (IoT) technology will have a critical role to play in the future success of their operations, a new study has found. The research, conducted by Vodafone, revealed that 58 per cent of business leaders believe embracing IoT will be essential if they are to remain competitive in the coming years. While larger firms were more likely than their smaller counterparts to regard IoT as vital, companies both large and small recognised the importance of this technology. Almost two-thirds of firms with more than 2,500 employees (64 per cent) agreed that IoT is a key driver of success, compared with 41 per cent of enterprises with fewer than 50 employees. Almost a third of businesses overall (31 per cent) expect to adopt IoT within two years. Some 64 per cent of all respondents believe IoT will improve their business operations, and 62 per cent said every company will benefit from the technology. However, there remains a lack of understanding about what IoT entails, which Vodafone noted could stifle its potential. For instance, more than four out of ten leaders (41 per cent) think IoT is too complex for their business, while 36 per cent admit they do not understand it. Anne Sheehan, enterprise director at Vodafone UK, commented: "IoT can drive innovation and value within an organisation, helping it to achieve operational efficiencies, build more valuable relationships with its customers and facilitate entirely new business models." She added the technology offers all organisations the opportunity to thrive in today's digital age, but businesses must act now to take advantage of it. "I’m really encouraged that businesses recognise the role IoT can play; and as a global leader in IoT, I consider it our role to bring the opportunities to life. There’s no doubt we will see many more applications in the months and years to come," Ms Sheehan continued.